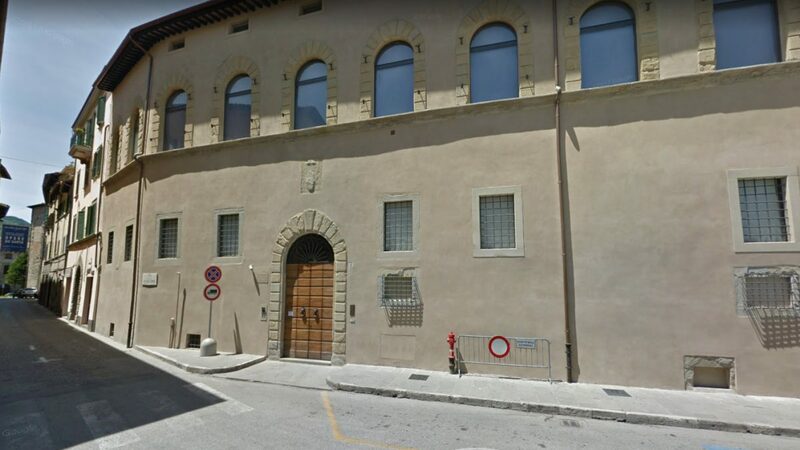 In 1978 Alberto Burri set up the Fondazione Palazzo Albizzini “Collezione Burri” in the prestigious town house that then gave the foundation its name. 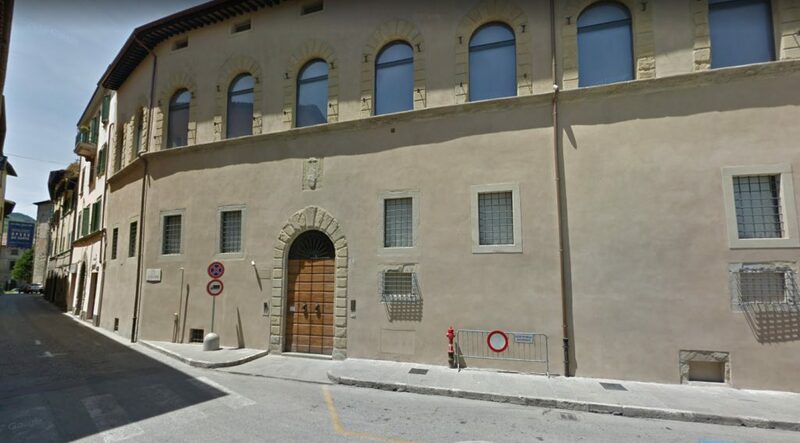 The works of the master are displayed in two exhibition spaces, the Palazzo Albizzini and the Ex Seccatoi del Tabacco. The collection in Palazzo Albizzini was opened in 1981. The house was built in the second half of the fifteenth century and has an elegant renaissance style. There are 130 works displayed in chronological order from 1948 to 1989 covering twenty rooms. We can see the tars and the moulds and a selection of sacks that date from the 50’s. In other rooms we find the woods, irons and plastics and finally the large Cellotexes. The foundation also houses the library, the collection of photographs and the archive which together make up a complete bibliography of the artist. Although the spaces are different ( a fifteenth-century noble palace and the large industrial spaces ) , the same criterion was used for their restoration. The Burri exhibition has enhanced the relationship between the architecture and the works , placed in spaces where the original character is respected and enjoyable. In the Albizzini Palace the library and photo library are also set up. They collect all the documentation on the work of Burri and the archives with a comprehensive bibliography on the artist. The Foundation regularly organizes conferences, ancient, modern and contemporary art restoration , and conferences in collaboration with leading parallel institutions ,both national and international . It works directly for the preparation of catalogs and the organization of exhibitions dedicated to the artist, and the publication of catalogs, brochures , posters and videos of the works on the life and art of Burri, for sale in the bookshops of the two venues . Alberto Burri began to paint in 1945 and early works are figurative. Since 1948 abstraction and the use of different materials characterize his paintings. The exhibition of the Collection of Albizzini Palace opens with the picture Black 1 of 1948. Each work is single and at the same time part of a symphony. The artist explores the expressive capabilities of some everyday materials : pumice stone , bitumen, sand, sawdust, bags, old cloth of all kinds, thin strips of wood, iron plates, sheets of transparent plastic and kaolin ” transforming” them into color. The material gives plasticity to the works and often the line between painting and sculpture does not seem so clear. The works exhibited in the Ex Seccatoi change the main concept. The artist no longer creates a single work, but a collection of paintings that make up a “great ” work. The paintings, in symbiosis with the matter, create increasingly synthetic compositions.